What we plant in the soil of contemplation we shall reap in the harvest of action. Our work is the love of God. Our satisfaction lies in surrender to the divine embrace. 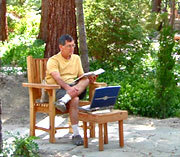 While different for each visitor, the retreat experience often includes personal reflection, silence and time in nature, spiritual guidance, creative expression, massage, and other healing work. to one who really knows…about love. Retreat is a time to awaken to your inner story, letting it open you to a larger, mythic story. It is a time to cultivate that which brings you more alive and to soften and release that which holds you back from embracing your basic goodness. In the quiet, serene atmosphere of Spirit Mountain Retreat you begin to relax and come home to the natural world and your place in it. This is a time to deepen awareness and consciousness of the Divine Presence permeating all of life. Through practices such as meditation, dream work, music, art and journaling, you may come to a greater appreciation of your soul’s journey, honoring it with compassion and gentleness. 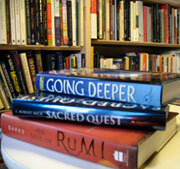 Meeting for spiritual guidance while you are on retreat can also help guide your time of reflection and quiet. Retreats can be scheduled for an overnight, during the week/weekend, and for longer periods of time. Spiritual guidance is available. Online payment for individual retreats and spiritual guidance is available. Contact Spirit Mountain Retreat 951-659-2523 or email to reserve your space for an individual retreat or spiritual guidance. Once you receive confirmation from Spirit Mountain Retreat that your reservation has been accepted, go to Online Payment to make a payment online. Meeting for spiritual guidance offers an opportunity to share parts of your story and explore areas in your life calling for growth and transformation. Quiet and centering activities and other resource materials may be suggested to strengthen inner awareness and freedom. Online payment for spiritual guidance is available. 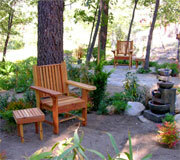 Contact Spirit Mountain Retreat 951-659-2523 or email to reserve your space for spiritual guidance. Once you receive confirmation from Spirit Mountain Retreat that your reservation has been accepted, go to Online Payment to make a payment online.